fsGTI terminal at Nhava Sheva has requested all Shipping Lines to forward Dangerous Cargo Manifest. This is a mandatory requirement from Port Authorities in Nhava Sheva. Jawaharlal Nehru Port Trust requested to forward HSN data to Marine Department in prescribed format. 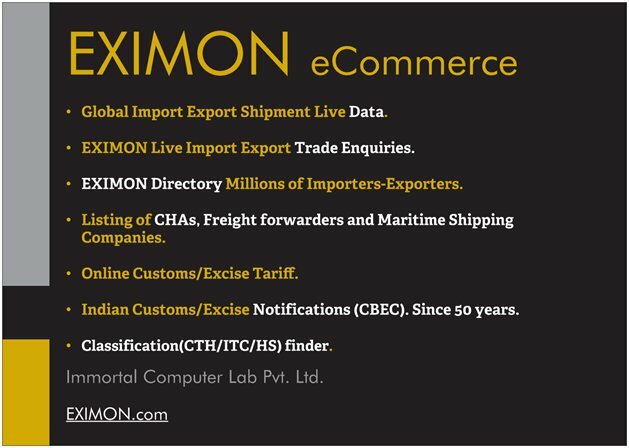 Interested Shipping company may approach ICL(eximon.com) for the same.on for Call above data : India is implementing OPRC-HSN protocol, for which various action are being taken by Government of India through Indian Coast Guard, DG Shipping like revision of National Oil Spill Disaster Contingency Plan (NOS-DCP) to include HSN cargo, up gradation of response facility at various ports etc.